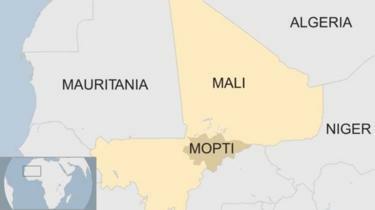 The prime minister of Mali and his entire government have resigned, following an upsurge of violence in the country. On Wednesday, a motion of no confidence was submitted as MPs blamed Prime Minister Soumeylou Boubeye Maiga for failing to handle the unrest. Last month, scores of herders were killed by a rival ethnic group. President Ibrahim Boubacar Keita said in a statement that he accepted Mr Maiga and his ministers’ resignation. A prime minister will be named very soon and a new government will be put in place after consultations with all political forces,” the statement said. Mali has been struggling to control violence since Al-Qaeda-linked Islamist extremists gripped the desert north of the country in 2012. Despite an ongoing military drive and a 2015 peace agreement, jihadists still dominate areas huge areas of the country, having migrated from the north to the more heavily populated centre of the country. The government has come under increasing pressure over its inability to restore stability, particularly after the massacre of 160 Fulani herders in the Mopti region. 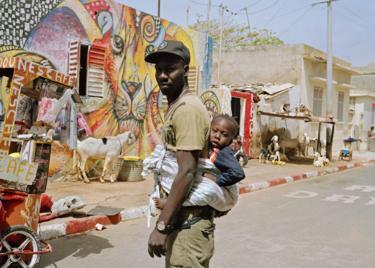 Armed with guns and machetes, the attackers appeared to be members of the Dogon ethnic group, which has a long history of tension with the nomadic Fulani people. The country was shocked by the killings and tens of thousands of people protested on the streets of the capital Bamako on April 5. The president said in a televised address on Tuesday that he had “heard the anger”. Nigeria’s Chief Justice Walter Onnoghen has been convicted of falsely declaring his assets. His suspension over the charges by President Muhammadu Buhari in January, weeks before the presidential election, caused a political storm. Mr Buhari was accused of meddling with the judiciary in case the outcome of the election was challenged in court. Justice Onnoghen was found guilty of hiding the extent of his wealth and has been banned from office for 10 years. The case was heard by the Code of Conduct Tribunal, which was set up to tackle corruption allegedly committed by public officials. The law requires senior civil servants and government officials to declare their assets before taking office as a way to monitor corruption. Mr Onnoghen has not commented on the tribunal’s ruling. His conviction is unprecedented as he was the first serving chief justice to be put on trial and found guilty, the BBC’s Best, reports from Nigeria.. In January, Atiku Abubakar – the president’s main challenger in the election – called Justice Onnoghen’s suspension “an act of dictatorship”. At the time of his suspension, Mr Buhari’s spokesman said that trying to link it the elections was “illogical”. The president has pledged to fight corruption and was re-elected in February. Mr Abubakar has gone to court to challenge the result of the election. A new species of giant mammal has been identified after researchers investigated bones that had been kept for decades in a Kenyan museum drawer. The species, dubbed “Simbakubwa kutokaafrika” meaning “big African lion” in Swahili, roamed east Africa about 20 millions years ago. But the huge creature was part of a now extinct group of mammals called hyaenodonts. The discovery could help explain what happened to the group. Hyaenodonts – so called because their teeth resemble those of a modern hyena – were dominant carnivores more than 20 million years ago, National Geographic reports. But they are not related to hyenas. “Based on its massive teeth, Simbakubwa was a specialised hyper-carnivore that was significantly larger than the modern lion and possibly larger than a polar bear,” researcher Matthew Borths is quoted by AFP news agency as saying. In 2013 he was doing research at the Nairobi National Museum when he asked to look at the contents of a collection labelled “hyenas”, National Geographic says. The creature’s jaw and other bones and teeth had been put there after being found at a dig in western Kenya in the late 1970s. Mr Borths teamed up with another researcher, Nancy Stevens, and in 2017 they began analysing the unusual fossil specimens. Their findings were reported in the Journal of Vertebrate Paleontology this week. Rocket fire on the Libyan capital Tripoli, which the UN-recognised government blamed on military strongman Khalifa Haftar, killed six people ahead of a Security Council meeting on Wednesday over a ceasefire. Diplomats have long complained that Libyan peace efforts have been stymied by major powers backing the rival sides, with Haftar ally Russia quibbling over the proposed wording of the ceasefire demand even as the bombardment of Tripoli intensifies. Three of the six killed in the rocket fire on the south Tripoli neighbourhoods of Abu Salim and Al-Antisar late on Tuesday were women, said the UN Office for the Coordination of Humanitarian Affairs, or OCHA. Abu Salim mayor Abdelrahman al-Hamdi confirmed the death toll and said 35 other people were wounded. AFP journalists heard seven loud explosions as rockets also hit the city centre, the first since Haftar’s Libyan National Army militia launched an offensive on April 4 to capture the capital from the government and its militia allies. The LNA blamed the rocket fire on the “terrorist militias” whose grip on the capital it says it is fighting to end. The bombardment came as diplomats at the UN Security Council began negotiations on a British-drafted resolution that would demand an immediate ceasefire in Libya. After Britain circulated the text late Monday, a first round of negotiations was held during which Russia raised objections to references criticising Haftar, diplomats said. “They were very clear. 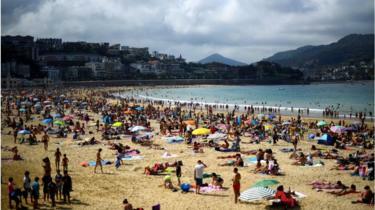 No reference anywhere,” a council diplomat said. During a tour of the Tripoli neighbourhoods worst hit by the rocket fire on Tuesday night, unity government head Fayez al-Sarraj said the Security Council must hold Haftar to account for his forces’ “savagery and barbarism”. “It’s the legal and humanitarian responsiblity of the Security Council and the international community to hold this criminal responsible for his actions,” Sarraj said in footage of the tour released by his office. He said his government would seek Haftar’s prosecution for war crimes by the International Criminal Court in The Hague. “We are going to hand all the documentation to the ICC tomorrow (Wednesday) for a prosecution for war crimes and crimes against humanity,” he said. At least 189 people have been killed, 816 wounded and more than 18,000 displaced since Haftar ordered his forces to march on Tripoli, according to the World Health Organization. Britain was hoping to bring the ceasefire resolution to a vote at the Security Council before Friday, but diplomats pointed to Russia’s objections as a hurdle. The proposed measure echoed a call by UN chief Antonio Guterres, who was in Libya to advance prospects for a political solution when Haftar launched his offensive. Haftar, seen by his allies Egypt and the United Arab Emirates as a bulwark against Islamists, has declared he wants to seize the capital. He backs a rival administration based in eastern Libya that is refusing to recognise the authority of the Tripoli government. The draft resolution calls on all sides in Libya “immediately to recommit” to UN peace efforts and urges all member states “to use their influence over the parties” to see that the resolution is respected. Saudi Arabia is also seen as a key Haftar supporter, while Qatar — which has tense relations with Riyadh and Abu Dhabi — has called for stronger enforcement of the UN arms embargo to keep weapons out of Haftar’s hands. Russia and France, two veto-wielding permanent members of the Security Council, have praised Haftar’s battlefield successes in defeating Libyan militias aligned with the Islamic State group in the south of the country. Haftar’s offensive on the capital forced the United Nations to postpone a national conference that was to draw up a roadmap to elections, meant to turn the page on years of chaos since the 2011 ouster of Moamer Kadhafi. 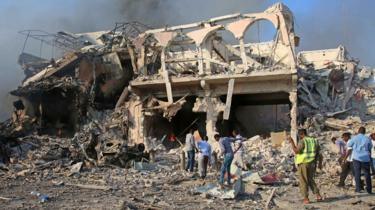 Guterres has said serious negotiations on Libya’s future cannot resume without a ceasefire. 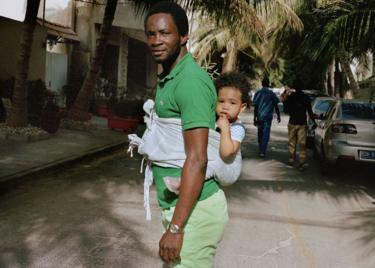 Marta Moreiras and the subjects of her portraits – fathers carrying babies on their backs – were surprised by the attention they attracted as she took their photographs on the streets of Senegal’s capital Dakar. People were clapping – sometimes it was a bit hard to take the picture because we were having such a large audience,” the Spanish photographer told the BBC. And that is exactly why Moreiras started her project, which has been shortlisted for the portraiture category of this year’s Sony World Photography Awards Professional competition. 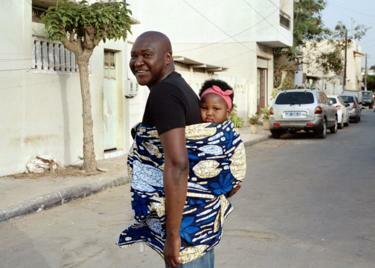 The idea came to her when she was looking through her photo archive, which for Senegal goes back to 2008. 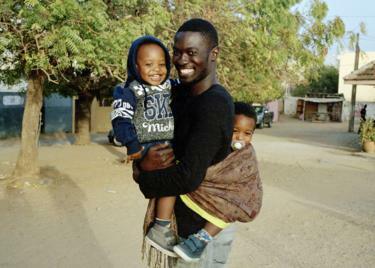 When she began phoning up some of her male Senegalese friends who had babies, most said that they would carry children on their backs if they were at home – but never outside. “There’s a big division here between public spaces and private spaces… and it’s very important what others think of you,” says Moreiras. 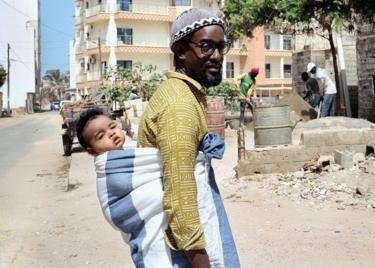 Yet her research and interviews revealed that men do play a significant child-caring role, not least because Dakar is expensive and couples often both have to work. “That will force them to start dividing tasks. “But whenever you see a picture of a baby you never see a dad with them or playing with them or taking them to school or washing them,” she said. This is how she first coaxed her interviewees into having their portraits taken. When they agreed to that, she’d say she would like the baby to be on their backs instead of in their arms – this too they happily agreed to, hesitation only setting in when she asked them to move outside to give the portrait “a more interesting setting”. “We don’t do that, we don’t take children to the street on our backs,” was the general response – but Moreiras’s persistence paid off. 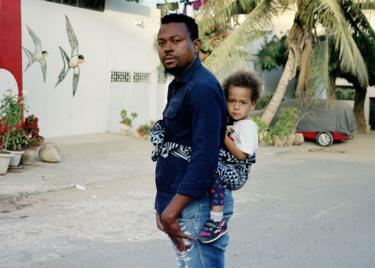 The portraits she shot over a two- to three-month period were exhibited last May at Dak’Art, the African Contemporary Art Biennale, when the whole of Dakar becomes an art gallery. And they certainly became a subject of debate – given the inspired decision to stage her exhibition at les parcours sportifs – a big open space on the main seafront thronged by those in pursuit of the body beautiful as it is full of gym equipment. “Ninety-nine per cent of people who go there are men, showing their masculine, macho side,” she said. But they were also of an age when they were becoming fathers – the perfect target audience, says Moreiras. 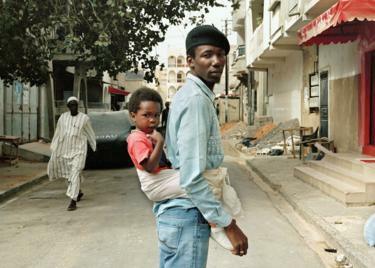 One photo in particular had a great impact as it was of a popular rapper, Badou, known for his machismo. “He has a public image, and everyone recognises him. It’s important in this project that some recognisable people are included to be role models and open the debate to realise there is nothing wrong with it,” the photographer said. There were some public figures who turned her down when she approached them as they were concerned about public attitudes. For Moreiras, who has eight of her portraits from the series in the World Photography Awards, it will be a “never-ending project”. Winners of the 2019 Sony World Photography Awards Professional competition will be announced on 17 April 2019. All shortlisted series will be exhibited at Somerset House in London from 18 April until 6 May 2019. Somalia’s capital city – where there are frequent and deadly bomb blasts – only has one free ambulance service, which was founded by Abdulkadir Abdirahman Adan 13 years ago. When he returned from Pakistan, where he had been studying dentistry, to Mogadishu as a fresh graduate he was struck by the lack of ambulances on the busy streets – and people using wheelbarrows to ferry the sick to hospital. The very few ambulances that did exist and respond to calls came from private hospitals and patients had to pay for their collection. So not long after his return, Dr Adan decided to start an ambulance service. “I bought a minibus, revamped it and made it accessible for wheelchair users too,” he told the BBC. He started to operate the minibus, carrying the wounded, injured and the heavily pregnant to the hospital. Such was the demand for the service that he realised it needed to expand and he began frequenting the city’s open-air markets and corner shops, looking for potential donors. “I managed to convince a group of local entrepreneurs to chip in and buy us another minibus,” he says. At the time Dr Adan was a part-time tutor at a couple of universities in the city. “I asked my students if they wanted to save a life and if they did, to donate a $1 (£0.75) a month to help save our brothers and sisters,” he says. Soon everywhere he went, he began to ask people to contribute a $1 a month to help run Aamin Ambulance. “Aamin” means “trust” in Somali – and most residents of the city feel it has lived up to its name in a society failed by its politicians. 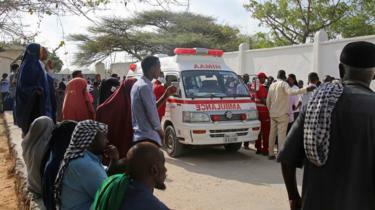 Today Aamin Ambulance, which survives on donations, has a staff of 35 people. Many of them are volunteers and students, Dr Adan says. The volunteers are not paid a salary but some of their expenses, such as transportation, are covered. The service has a fleet of 20 ambulances and a driver for each vehicle. “We operate on donations. We don’t receive any funding or help from the government. But Dr Adan has been able to attract some backing from the United Nations. 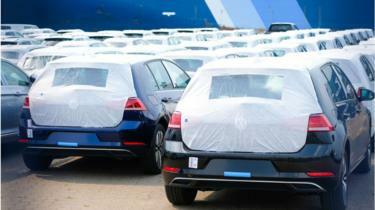 “WHO [the World Health Organization] bought us two cars. UNDP donated some walkie-talkies,” the 45-year-old says. 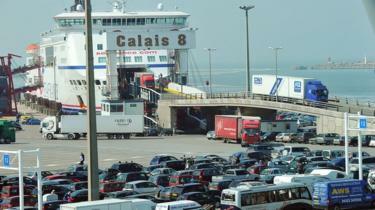 “We bought second-hand ambulances from Dubai and had them delivered here. Recently, the British embassy in Mogadishu organised a half-marathon to raise funds for our service. Raising money can be hard work, as is dealing with the city authorities which recently banned Aamin Ambulance from attending blast scenes. The crux of the problem seemed to be the government’s sensitivity about casualty figures from bombings carried out by Islamist militants – Aamin Ambulance often keeps journalists up-to-date about what its paramedics have witnessed using social media. 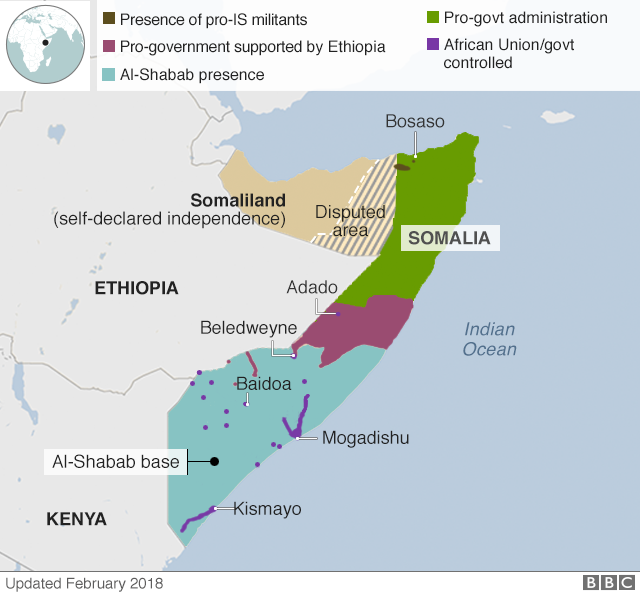 The ban infuriated some when it was reported last week on the BBC Somali Service’s Facebook page, who deplored the government for “stopping aid”. But Dr Adan tried to play down the friction. While a spokesman for the regional authority, Salah Hassan Omar, told the BBC it had all been a misunderstanding and was more about “how to best work together”. For Dr Adan, such headaches can be overcome as he is heartened by the generosity he has experienced since starting the ambulance service. “Every person in this life has a purpose and the most valuable thing for me is human life. That is my driving force,” he says. “Somalis are very generous people, even when they have nothing. Our country has been in turmoil for 30 years and it is only active because of money sent from abroad. “Our country has been running on the generosity and goodwill of Somalis in the diaspora for decades. Although Mogadishu has been in the news for bombings carried out by the militant group al-Shabab, Aamin Ambulance service is not solely borne out of the need to attend to these types of attacks. Mr Adan says the ambulances go where they are needed, whether it is to attend to a small child, a woman going into labour or an old person in need of assistance. “Anything really and anyone who needs our help – we have paramedics and nurses ready,” he says. For the future, Dr Adan envisions a Somalia where nobody needs to die because they are unable to get help in time. He would like to see Aamin Ambulance expand to cover the whole country. It may seem like an unlikely vision as al-Shabab still controls most rural areas – but Dr Adan is nothing if not determined. And al-Shabab, known for demanding protection money from many Somali businesses – even in Mogadishu from where it was expelled in 2011, does not seem to hassle Aamin Ambulance. “We’re not a business, we’re not making a profit and we’re not political. I can’t possibly see what al-Shabab would want with us,” says Dr Adan. 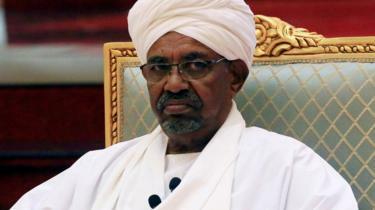 Months of protests in Sudan led to the ousting and arrest of long-time leader Omar al-Bashir on Thursday. What’s been happening in Sudan? On Thursday the military removed and detained the veteran leader, after nearly 30 years in power. Lt Gen Abdel Fattah Abdelrahman Burhan was then named as head of the transitional military council, to become Sudan’s third leader in as many days. In a televised address on Saturday, Gen Burhan vowed to “uproot the regime”, pledging to respect human rights, end a night curfew, release political prisoners immediately, dissolve all provincial governments, try those who had killed demonstrators and tackle corruption. 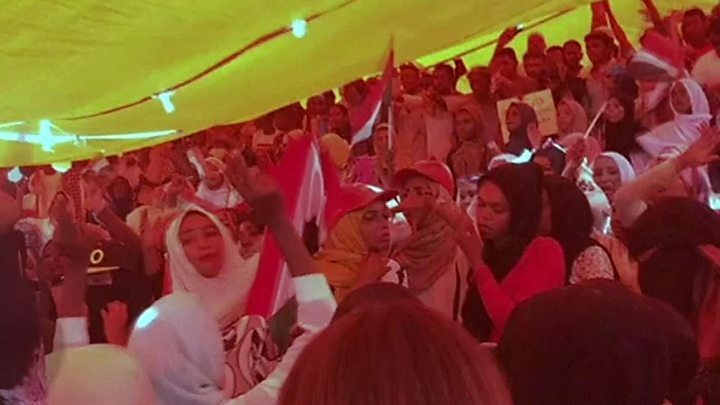 But the Sudan Professionals Association (SPA), which has been spearheading the demonstrations, said the council’s response “did not achieve any of the demands of the people” and urged protests to continue. Among its demands are the restructuring of state security, the arrest of “corrupt leaders” and the dissolution of militias that operated under former President Bashir. 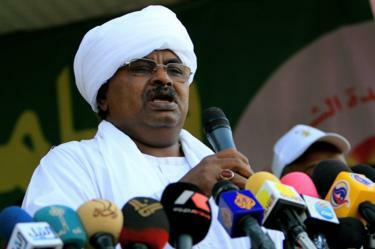 The whereabouts of Sudan’s former leader is currently unknown, but the coup leaders said he was in a secure place. Mr Bashir’s National Congress Party on Saturday called his overthrow unconstitutional, and demanded that the military council release the party’s imprisoned members. According to the W-GDP’s website, low participation of women in the formal labour markets impedes economic growth and poverty reduction in developing countries. 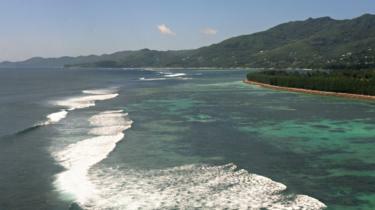 The project is financed by a $50m (£38m) fund within the US international development aid agency (USAid). Fundamentally we believe that investing in women is a smart development policy and it’s smart business. It is also in our security interests because women when they are empowered they foster peace and stability and we have seen this play out time and time again,” Ms Trump said as she met women working in the coffee industry. Ms Trump, who serves as an adviser to her father, will also attend a World Bank policy summit while in Ethiopia. She will visit Ivory Coast later in the week and is set to visit a cocoa farm, as well as participate in a meeting on economic opportunities for women in West Africa. She tweeted ahead of the trip that she was “excited”. The Trump administration’s policy in Africa has focused on the war on terror and trying to manage the growing political and economic influence of China and Russia on the continent. 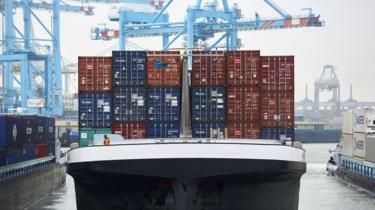 It has, however, backed democratic reforms in countries like Ethiopia where Prime Minister Abiy Ahmed has implemented a series of progressive changes including the normalisation of relations with Eritrea after a bitter border standoff going back two decades. 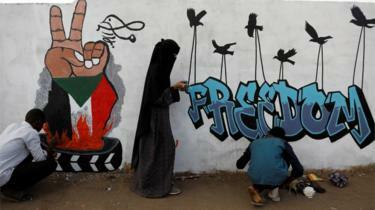 The US also recently backed pro-democratic protests in Algeria and Sudan. 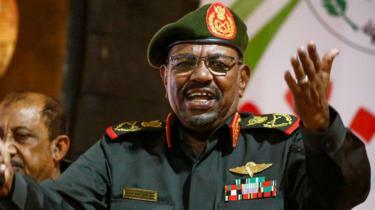 The leader of Sudan’s interim military council has vowed to “uproot the regime” two days after a military coup. Lt-Gen Abdel Fattah Abdelrahman announced the “restructuring of state institutions”, in a televised address. His announcement came as protests against the authorities continued, despite the ousting of long-time leader, Omar al-Bashir. Protesters have demanded an immediate move to civilian rule and vowed to stay in the streets. In his address, Gen Burhan announced the end of a curfew, confirmed the release of jailed protesters and dissolved all provincial governments. 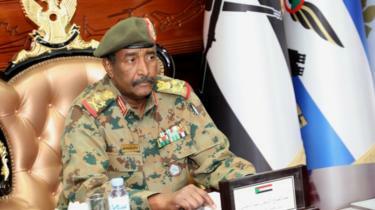 The army would maintain “peace, order and security” across Sudan during an already announced transition period. It would last at most two years, he said, until elections could be held and civilian rule introduced. He also called on the opposition to “help us restore normal life”, and promised to try those who killed demonstrators. The speech came after the resignation of feared security chief Gen Salah Gosh hours after the coup leader himself, Defence Minister Awad Ibn Auf, stepped aside. Privately-owned Sudan News 365 reports that opposition leaders are meeting with the military on Saturday to discuss “transitional arrangements”. Omar el-Digeir, leader of the opposition Sudanese Congress Party, said the military should not be “the sole custodians of power”. 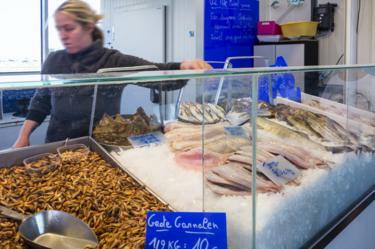 A growing economic crisis has gripped the country since the oil-rich southern part split away in 2011, and Thursday’s coup followed months of unrest over rising prices. When Mr Bashir was removed, he was replaced by a military council led by Mr Ibn Auf. On Friday the new leader announced he was resigning and being replaced by Lt-Gen Abdel Fattah Abdelrahman Burhan, who is seen as a less controversial figure. On Saturday, Sudanese TV reported the resignation of Gen Gosh, head of the National Intelligence and Security Service (NISS) which has powerful forces within the capital. 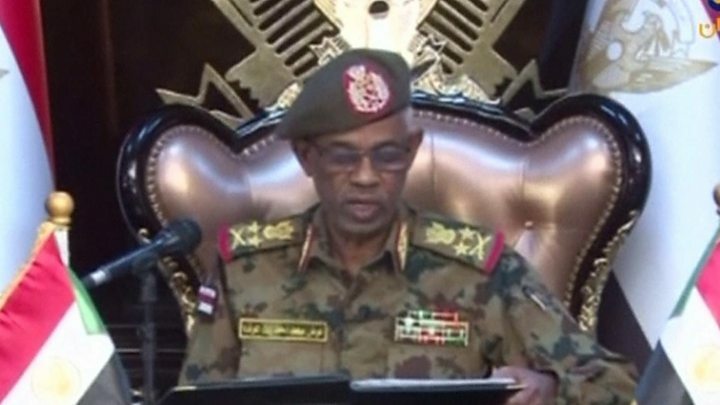 The general has been a key ally of Mr Bashir since the early 1990s and is among 17 Sudanese officials indicted for genocide, human right abuses and war crimes in the Darfur region by the International Criminal Court (ICC) in 2009. The momentum is clearly with the protesters. They have forced out two powerful generals in just a matter of days. 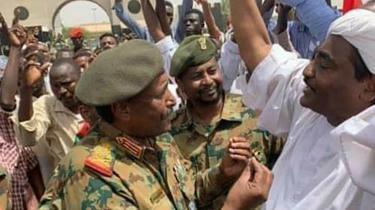 NISS, which Gen Gosh headed, exemplified the ruthlessness of security forces under Bashir’s regime. There is however anger that Gen Gosh is not being arrested for alleged human rights abuses. The SPA had called for the disbandment of NISS. And interestingly soon after Gen Gosh’s resignation was announced the SPA released the names of its negotiating team. In the past they said they would not publish any names for fear they would be targeted. The fact that they can do so now suggests there could be room for talks with the military council. But in his first address Gen Burhan insisted the council would govern for two years. This idea has been rejected by opposition groups who demand a civilian transitional government. They have asked for demonstrations to continue until this happens. What will happen to Bashir? He has also been indicted by the ICC on charges of war crimes and crimes against humanity in Darfur. But the military council has said it will not extradite Mr Bashir, who denies the charges, although he may be put on trial in Sudan. Mr Ibn Auf was head of military intelligence during the Darfur conflict and the US imposed sanctions on him in 2007. He has been indicted by the International Criminal Court on charges of war crimes and crimes against humanity over the conflict in Sudan’s Darfur region earlier this century. How big are these events? This is an exciting moment, writes the BBC’s Africa editor, Fergal Keane. It is happening in Sudan but the significance of these forces working peacefully for change is universal. It may be very precarious but it is also full of possibility, he says. 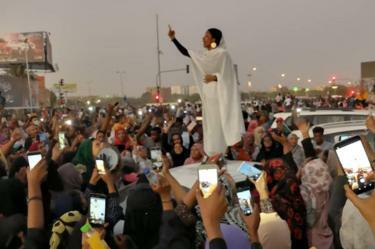 One of the defining images of the peaceful protests in Khartoum is that of demonstrator Alaa Salah leading a crowd in anti-government chants. From what I’m told, Burhan seen as respected in the army and as less Islamist than, say, Ibn Auf. Sudan’s military coup leaders have warned protesters still on the streets that there will be “zero tolerance” for disturbances. A spokesman insisted the army did not seek power and Sudan’s future would be decided by the protesters – but said the army would maintain public order. 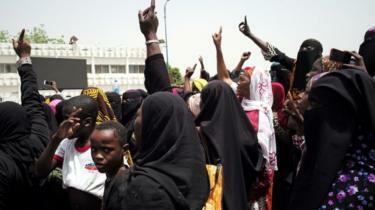 Protesters are still out in Khartoum, fearing the coup leaders are too close to ousted ruler Omar al-Bashir. The military says it will not extradite Mr Bashir on war crimes charges. Mr Bashir is the subject of two international arrest warrants issued by the International Criminal Court (ICC). He is accused of organising war crimes and crimes against humanity in Sudan’s Darfur region between 2003 and 2008, allegations he denies. 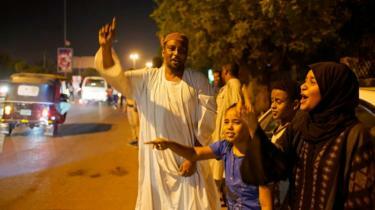 However, he may be put on trial inside Sudan, according to the military council set up after the coup. 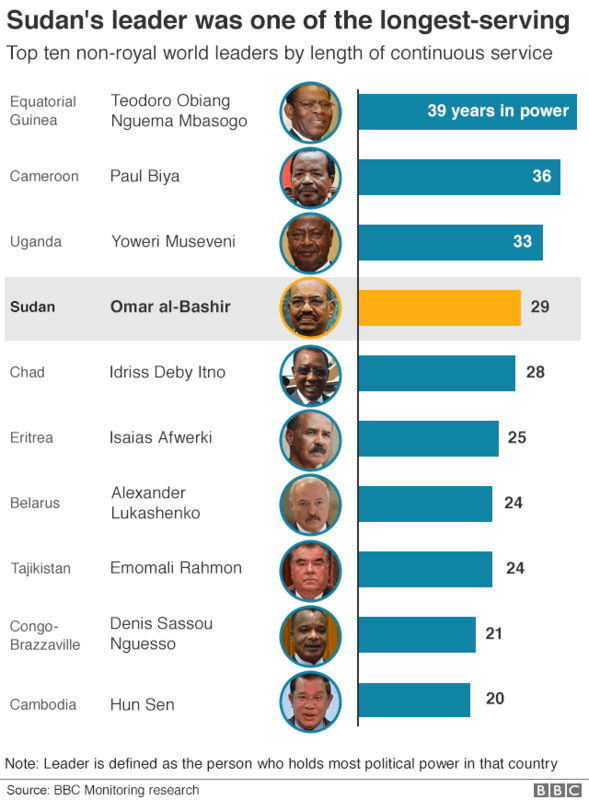 Mr Bashir, one of the world’s longest-serving leaders until he was ousted on Thursday, is now in custody. His downfall followed months of unrest that began in December over rising prices. At least 38 people have died in the protests. What are the military offering the protesters? The army has said it will oversee a transitional period followed by elections. As part of this, it is imposing a three-month state of emergency, with the constitution suspended. The military council will be in place for a maximum of two years, it says, but could last only a month if the transition to civilian rule is managed smoothly. Lt-Gen Omar Zain al-Abidin, who heads the military council’s political committee, said on Friday: “The solutions will be devised by those in protest. “You, the people, will provide the solutions for all economic and political issues. We have come with no ideology, we have come here to maintain order and security to provide the opportunity for the people of Sudan to achieve the change they aspire to. “We have no ambition to hold the reins of power. We are here to provide an all-inclusive umbrella. Later on Friday state media said the military had asked political parties to name representatives for a meeting with coup leaders at a later date. Why are protesters so wary? Thousands remained camped out near military headquarters in the capital on Friday, ignoring a curfew declared by the military. The new military council is headed by Defence Minister Awad Ibn Auf, who was previously regarded as being well placed to succeed Mr Bashir. During the Darfur conflict, he was head of military intelligence. The US imposed sanctions on him in 2007 in relation to his alleged support for militia blamed for atrocities in Darfur. 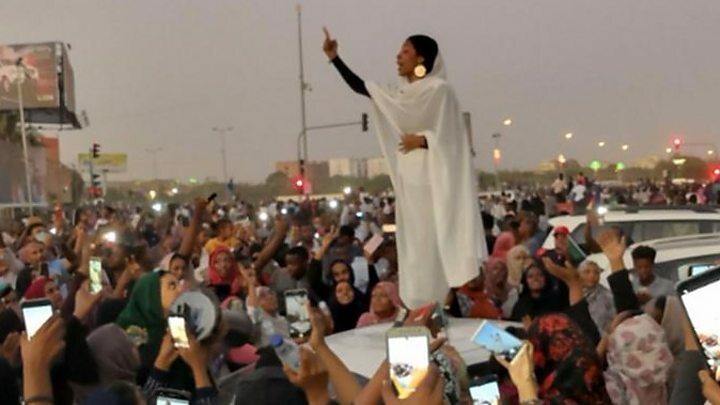 On Thursday Sara Abdeljalil, a member of the Sudanese Professionals’ Association (SPA) which has spearheaded the protests, called the new military council a “continuation of the same regime”. “So what we need to do is to continue the fight and the peaceful resistance,” she said. 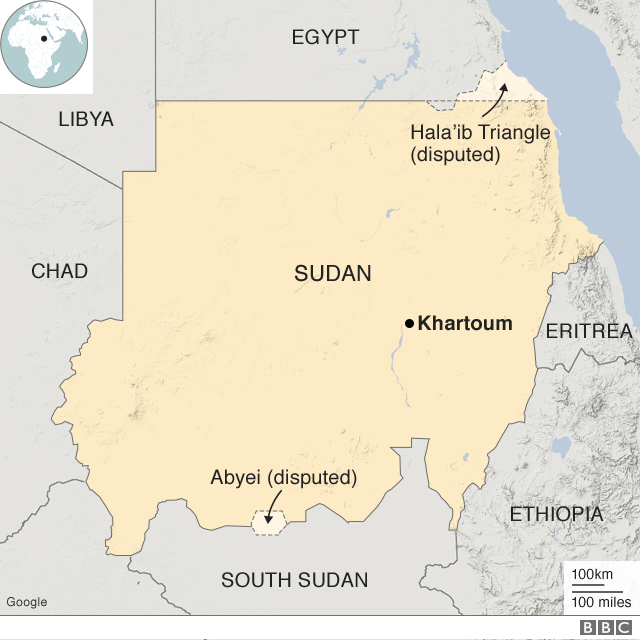 Reacting to the military’s statement on Friday, Khartoum resident Tagreed Abdin told the BBC: “We don’t know who’s behind the military council. The army said it had ruled out a violent response to the protests before Mr Bashir was overthrown because they didn’t want the loss of life. 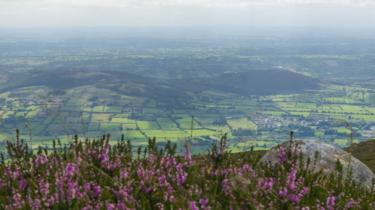 It will be difficult (of course not impossible) to walk back on that. There is then the question of the dynamics within the army. Younger officers and rank and file will have been emboldened by their role and public reception during the protests. Will they be content to allow the Mr Bashir generation monopolise military power? What is the reaction abroad? UN Secretary-General António Guterres appealed for “calm and utmost restraint by all” and urged a transition that would meet the “democratic aspirations” of the people. The UN Security Council is to discuss the situation in a closed-door meeting on Friday. UK Foreign Secretary Jeremy Hunt said that a two-year military council was “not the answer” and called for a “swift move to an inclusive, representative, civilian leadership”. Sudan protests: So what’s going on? The African Union condemned the military takeover, saying it was not an appropriate response to the challenges facing Sudan and the aspirations of its people. Russia, which twice hosted Mr Bashir despite the international travel ban he faced, called for calm. Sudan’s army has told the nation to expect an announcement following growing protests calling for President Omar al-Bashir to step down. 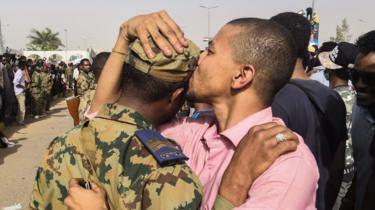 The army’s message sparked jubilant scenes among Sudanese convinced that a coup was under way, but it remained unclear what was happening. They were originally sparked by a rise in the cost of living, but grew into a broader anti-government movement. 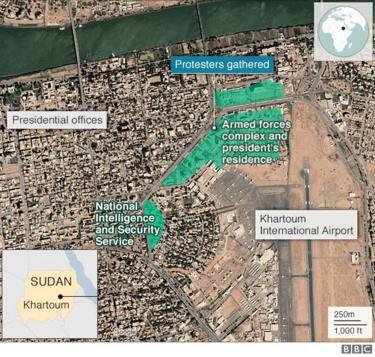 In the early hours of Thursday, several military vehicles were seen entering the large compound in Khartoum that houses the Ministry of Defence, the army headquarters and Mr Bashir’s personal residence, AFP reported. The compound has been the focus of a sit-in by tens of thousands of protesters who have been urging the military to oust Mr Bashir. Troops have also raided Mr Bashir’s Islamic movement, linked to the ruling party, and deployed at key locations in the capital. 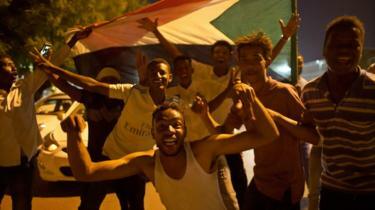 Meanwhile, Sudan’s state news agency reported that all the political prisoners in the country were being released. State TV and radio interrupted their programming, with TV broadcasting a message that the army would be making a statement. 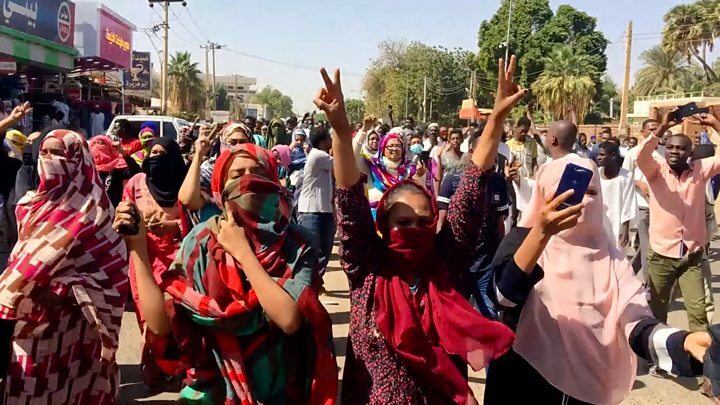 The leading protest group, the Association of Sudanese Professionals, said power had to be handed over to a civilian transitional government made up of people who had no links to the “tyrannical regime”. It urged demonstrators to remain at the sit-in to ensure there was no “partial or false solution”. Protester Hiba Ali told the BBC that “the suspense is killing” as she and others waited for the military to tell them what was happening. Footage posted on social media showed an exchange of gunfire outside the army headquarters. 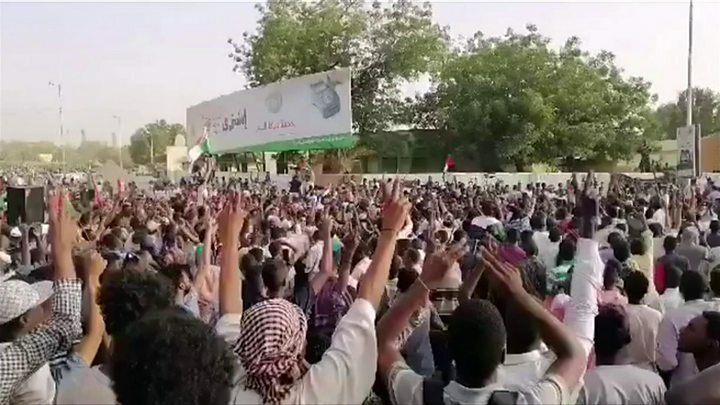 Other footage appeared to show people taking down posters of Mr Bashir and protesters entering an intelligence service building in the eastern city of Port Sudan. Police have ordered officers not to intervene against the protests. 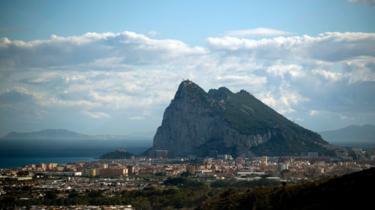 On Tuesday, a police spokesman called for “an agreement which would support the peaceful transition of power”. The government has been criticised by rights groups for a heavy-handed response to the unrest. Government officials admit 38 people have died since the unrest began in December, but the rights group Human Rights Watch says the number is higher. 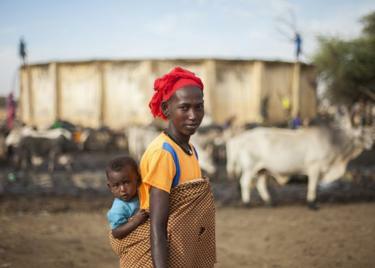 Another civil conflict has been taking place in the western region of Darfur. Mr Bashir is accused of organising war crimes and crimes against humanity there by the International Criminal Court (ICC). Despite an international arrest warrant issued by the ICC, he won consecutive elections in 2010 and 2015. However, his last victory was marred by a boycott from the main opposition parties. The arrest warrant has led to an international travel ban. However, Mr Bashir has made diplomatic visits to Egypt, Saudi Arabia and South Africa. He was forced into a hasty departure from South Africa in June 2015 after a court considered whether to enforce the arrest warrant. “Draft articles and op-ed pieces to spotlight the issues in Nigeria post-2019 presidential election and to promote the rule of law and due process in resolving electoral disputes in Nigeria. The House of Representatives yesterday mandated its Committees on Procurement and Power to jointly investigate the allegations of gross statutory breaches including violation of the public procurement Act 2007 by the management of the Nigerian Bulk Electricity Trading, NBET, Plc. This was sequel to a resolution of the House after carefully debating a motion promoted by Muhammed Soba (All Progressives Congress, APC, Kaduna) the lawmakers expressed concerns over series of breaches against the provisions of Public Procurement Act, 2007, statutory guidelines and regulations by the Managing Director and management of the electricity company and resolved to investigate the firm. Besides the financial infraction, the lawmakers wondered why NBET management would also design a performance and implementation chart for its terms in the agreement against extant provisions of the Public Procurement Act 2007, Guidelines and Regulations from the Bureau of Public Procurements. According to him, two law firms, Messrs AELEX, Azinge & Azinge, were engaged even where they lacked basic bidding documents. He warned that if Parliament, did not intervene quickly by probing all alleged infractions and address the situation, a systemic institutional method of cheating in procurement process would have been put in place leading to further monumental losses. Minister of Health, Prof. Isaac Adewole, has lamented the poor state of Nigeria’s healthcare system, saying only four per cent of Nigerians are covered by the National Health Insurance Scheme (NHIS). The Minister, who stated this while fielding questions from journalists in Abuja, however, disclosed that the federal government had put in place measures to reverse the appalling situation. He said, “Part of the challenges we face is the near collapse of the healthcare system. But one of the unique things this government has done is to put money in the Basic Healthcare Provision Fund, BHCPF. “Fifty per cent of the money will flow to NHIS to take care of medical expenses of our people so that they will not have to pay out of their pocket for treatment. We will also use this measure to grow NHIS enrollment. As of today, only four per cent of Nigerians is covered by the scheme. With respect to medical tourism vis-à-vis the concern of the Buhari administration, Adewole said: “We’re focusing on three main reasons Nigerians go out of the country for medical treatment. They are cancer, kidney problems, and cardiac issues.